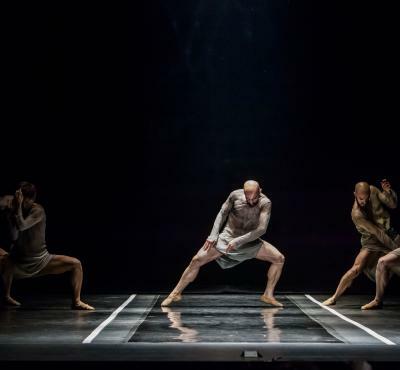 Emio Greco and Pieter C. Scholten, directors del Ballet National de Marseille, have for the last two decades been researching what they call “the body in rebellion”, an intuitive body confronting the music in the space. 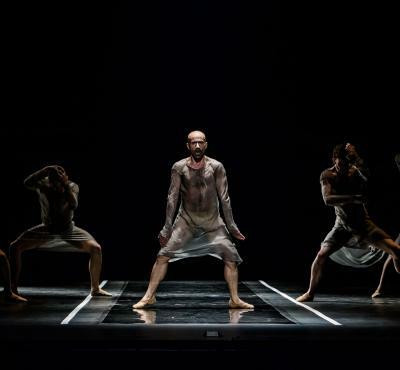 The body as the central element of choreographic creation. This creative duo puts this concept into practice in Two, a male/female duo/duel in which one copies the gesture of the other. The pair perform the same movement at the same time in the same space. The piece came into being in response to Greco and Scholten’s fascination with the idea of the ‘double’. The music parts company with the classic versions of the famous ballet by Maurice Ravel and instead takes a contemporary approach. On an empty, bare stage, eight dancers seem to struggle with Ravel’s monumental, repetitive score in which the crescendo constantly rises. 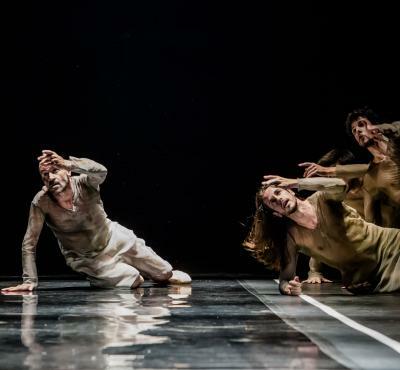 Emio Greco, a dancer, and Pieter C. Scholten, a theatre director on the Dutch alternative scene, combined their talents in the 1990s, embarking on a choreographic quest that has given rise to the search for a new expressive language based on the body. The strange theatricality that permeates their pieces and the outstanding quality of the works—repetitive or overflowing—construct enigmatic fictions within each piece. The Ballet National de Marseille was founded in 1972 by Roland Petit. It has been directed since 2014 by Emio Greco and Pieter C. Scholten, who have been working together for over 20 years and who base their research work on ‘the body’ as a physical wrapper and as a social entity. The BNM has presented their works around the world and has been awarded numerous international prizes. The Ballet National de Marseille is supported by the Ministère de la Culture et de la Communication, the Ville de Marseille and the Conseil régional de Provence-Alpes-Côte d'Azur.